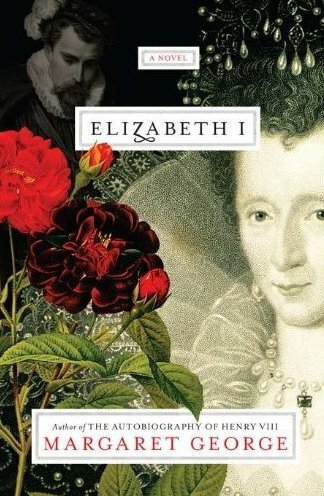 Elizabeth I: A Novel is a part fictional, part historical epic detailing one of England's favourite Monarch's. With much skill, Margaret George, explains the life of Queen Elizabeth during the final 20 years of her reign and her life. Told from two different viewpoints, Elizabeth herself and Elizabeth's younger look-a-like cousin, Lettice Knollys, the story explains to the reader how Elizabeth could have been. Few accounts of her personal life are remembered or recorded and much is left to the imagination of the reader however, we are shown a side of Elizabeth that allows us to view her insights, her character and those around her who helped shaped one of Britains's greatest royal persona's. Portraying her as the virginal queen who is wedded to her subjects, we are given an in depth look at Elizabeth's inner turmoils concerning, her age, her fight with Spain and Ireland and those in her court who would wish to usurp her as well as those who remain steadfast and loyal to her cause. We learn of her friendships to such historical people as Robert Dudley, John Dee, Grace O'Malley, Francis Drake, Walter Raleigh, Francis Bacon, William Shakespeare and the people that she loved and adored. We watch as she determines to remain ageless while noticing those around her since childhood are dying. We feel her struggle to remain true to her faith, her people and the code she has set for herself. As well, we learn of Elizabeth's humanity, the inner thoughts that only oneself knows, and the actions that propelled her to do the things she did in the last remaining years of her life. I quite enjoyed Elizabeth I, when I first received it, I was thinking, another book about Elizabeth the first, blah blah blah. I was surprized to see the human soul of Elizabeth unfold upon the pages. From Margaret George's point of view, she was a dynamite of a lady, witty, sharp and determined. The inner thoughts of Elizabeth and about Elizabeth was refreshing and I felt she really captured Elizabeth's essence almost perfectly. However, I was disappointed that more of Elizabeth's character flaws weren't incorporated into the story, such as her tantrums and her flip flopping of ideas and strategies, for that is something about Elizabeth that is renowned, there were hints of it throughout the story, but for the most part, Elizabeth is shown in a positvie, human and yes, virginal light. I really came to dislike Robert Deveraux, the queen's pet and favourite and felt sorry for her cousin, Lettice, whose only fault that I could see was that she married Elizabeth's "love", Robert Dudley, Earl of Leicester. I would recommend this for any historical buffs, especially royal ones, you won't be disappointed in seeing the inner machinations of who the person whom Elizabeth may have become. It's a long read, sometimes a bit dry in places, but for the most part you will see a side of Elizabeth that must be shared.